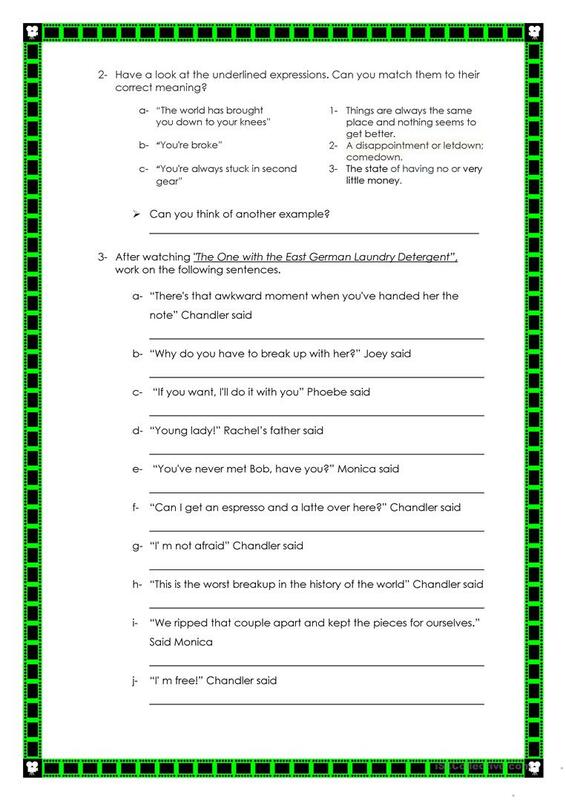 I have created this worksheet to work on Reported Speech and also to develop some listening skills. 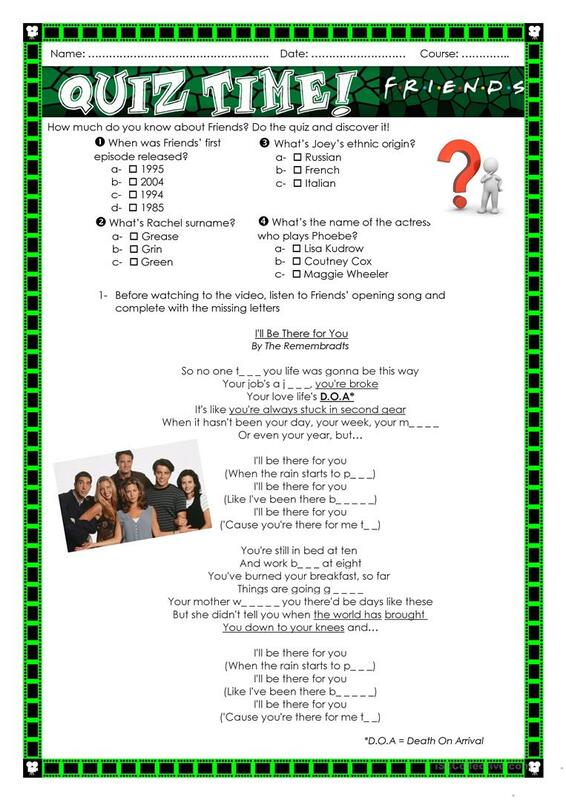 I've chosen "Friends" because teenagers and adult learners like it pretty much. Hope you like it and your students, too. There's no solution for the worksheet because it is simple to solve. If you have any doubt, you can write me back. This downloadable printable is recommended for business/professional students, high school students and adults at Intermediate (B1) and Upper-intermediate (B2) level. It is valuable for practising Reported speech: Reporting verbs in English, and can be used for improving your learners' Listening skills. It is about the vocabulary topic of Idioms. SoledadG is from/lives in Argentina and has been a member of iSLCollective since 2016-06-27 17:17:22. SoledadG last logged in on 2018-10-02 03:25:21, and has shared 4 resources on iSLCollective so far.